French police are questioning the family of the first of seven gunmen identified in the Paris attacks. 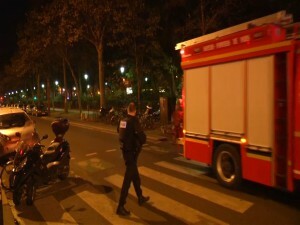 French authorities Saturday named the first attacker as 29-year-old Omar Ismail Mostefai, who was identified from a severed finger found at Bataclan concert hall, scene of the worst of the bloodshed. He was one of the seven gunmen killed in the attacks. CNN and the Guardian newspaper are both reporting on Sunday that French prosecutors are now speaking to relatives of the French-Algerian attacker, who was part of a group of people which killed at least 129 people in a wave of carnage. ISIS (also known as ISIL, IS and the Islamic State) jihadists said they were behind the gun and suicide attacks that left a trail of destruction at a sold-out concert hall, at restaurants and bars, and outside France’s Stade de France national stadium. The attacks sent shockwaves around the world, with London’s Tower Bridge, Berlin’s Brandenburg Gate and the World Trade Center in New York among the many landmarks lit up in the red, white and blue of the French national flag in a show of solidarity. US President Barack Obama described the onslaught as “an attack on all of humanity” and an emotional Pope Francis said he was “shaken” by the “inhuman” attacks. British Prime Minister David Cameron said the attacks “suggest a new degree of planning and coordination and a greater ambition for mass casualty attacks”. Candles are placed outside the French embassy in Vilnius, Lithuania, Saturday, Nov. 14, 2015, for the victims in Friday’s attacks in Paris. In a statement posted online Saturday, IS claimed responsibility for the attacks and referred to French air strikes on IS in Syria. The jihadists were heard raging at the French president and his decision in September to join US-led air strikes on Islamic State targets in Syria. The investigation into the attack spread beyond France on Saturday as Belgian police arrested several suspects in Brussels, including one who was in Paris at the time of the carnage. 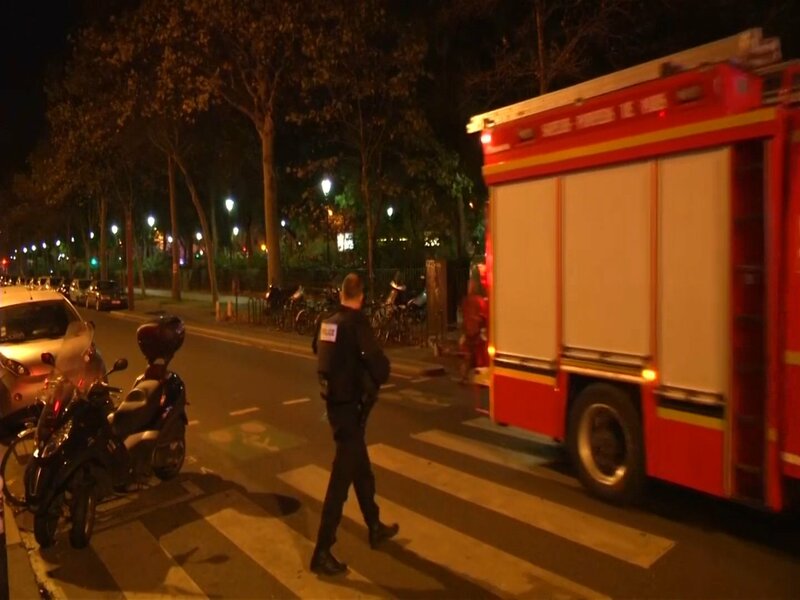 The arrests — local media said three people were detained — were in connection with a vehicle found near the Bataclan concert hall, they said. In Germany, the authorities said they were looking into a possible link between the attacks and the arrest in Bavaria last week of a man with a car-load of weapons and explosives. The Paris attacks were “prepared, organised and planned overseas, with help from inside (France),” Hollande said. In Greece — the main entry point into Europe for hundreds of thousands of migrants fleeing conflict and misery — police were investigating a possible Syrian connection to the Paris attacks, though they did not rule out that the Syrian passport may have changed hands before the assault. Within conflict-torn Syria, residents and activists from some of the areas worst affected by over four years of bombings and war, joined the global outcry over the carnage in Paris. “We extend our hands to all the people that love peace and freedom, most of all the French people,” residents of the besieged town of Douma near Damascus wrote in an open letter.